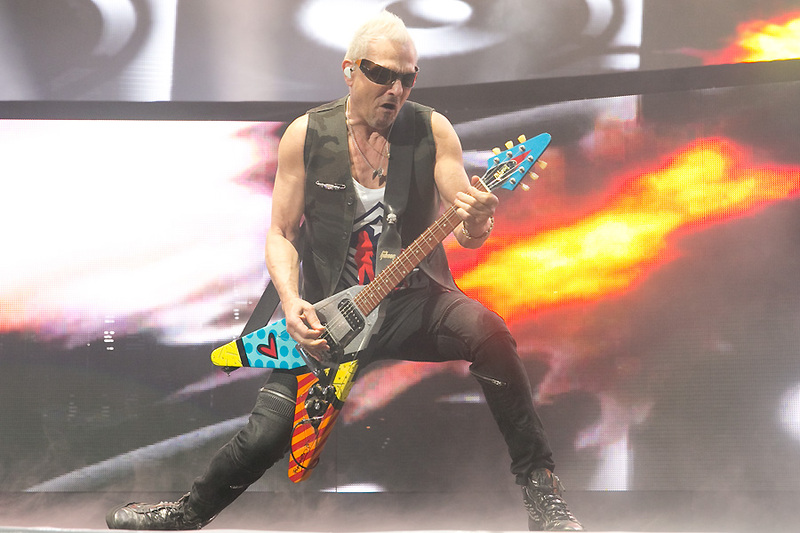 Even after fifty years, the Scorpions are still going strong and show absolutely no signs of calling it quits just yet. 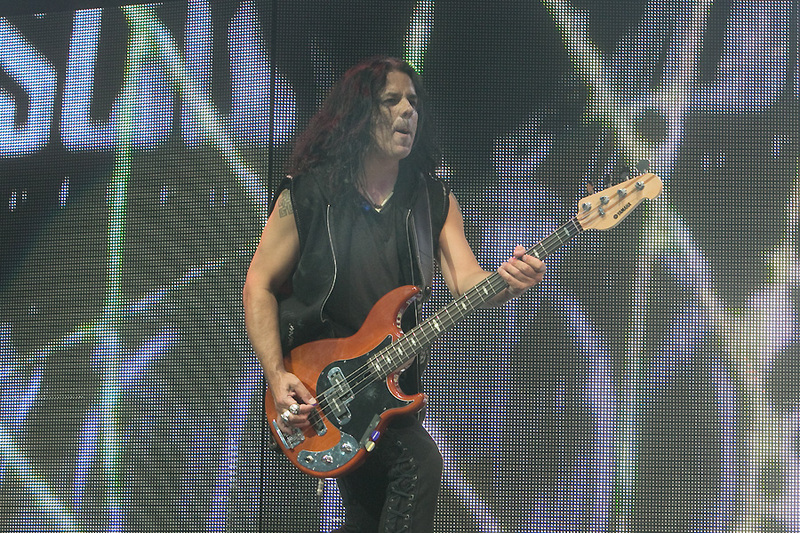 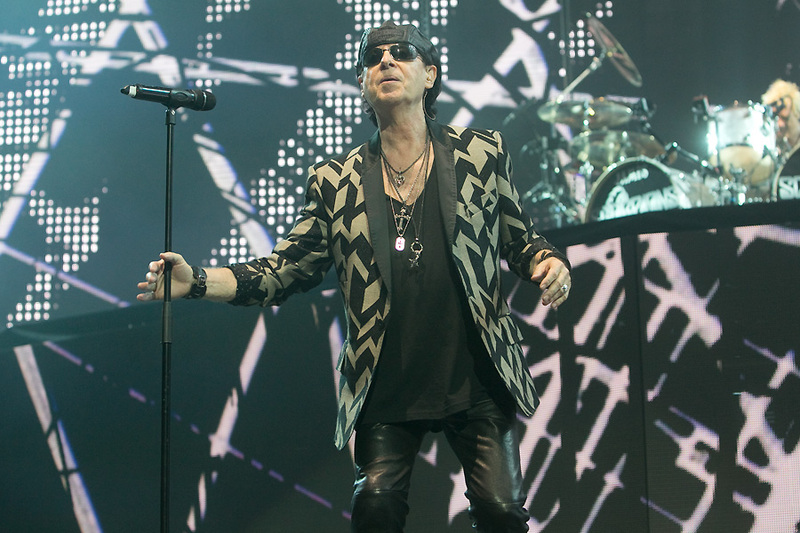 Opening with “Going Out With a Bang” off their latest release Return to Forever, the ScorpionsÂ established quite early that their near two-hour set was going to be action packed. 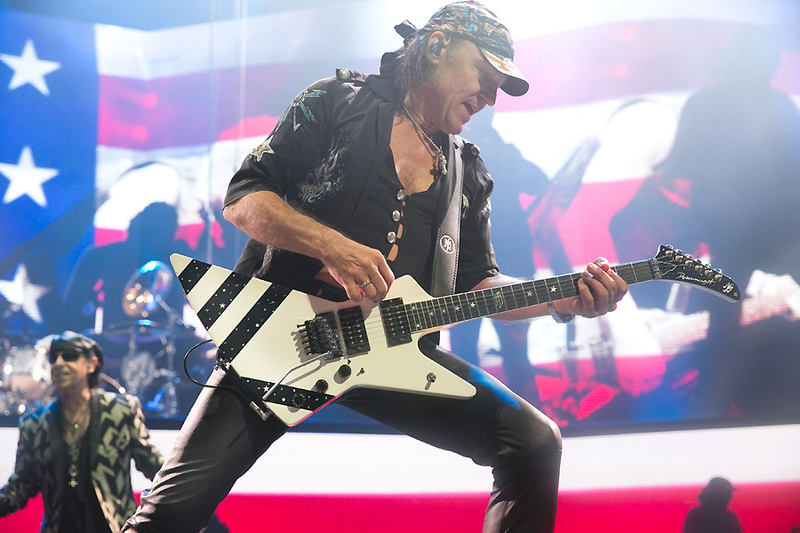 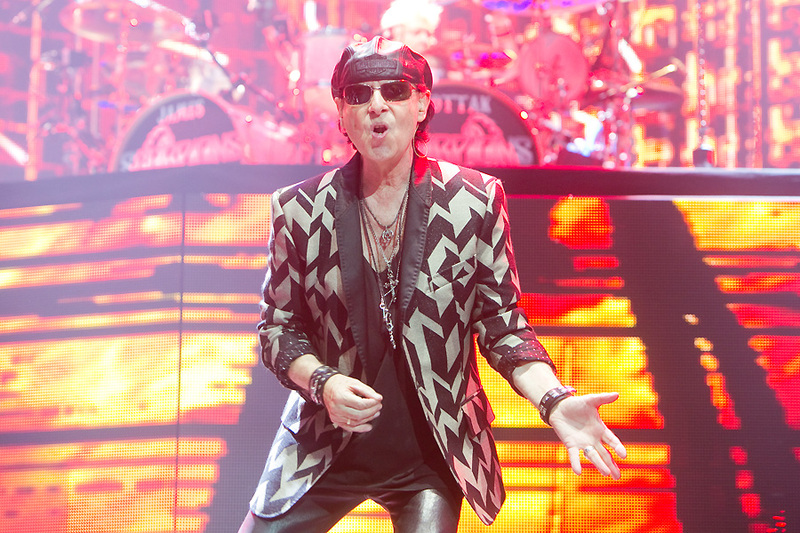 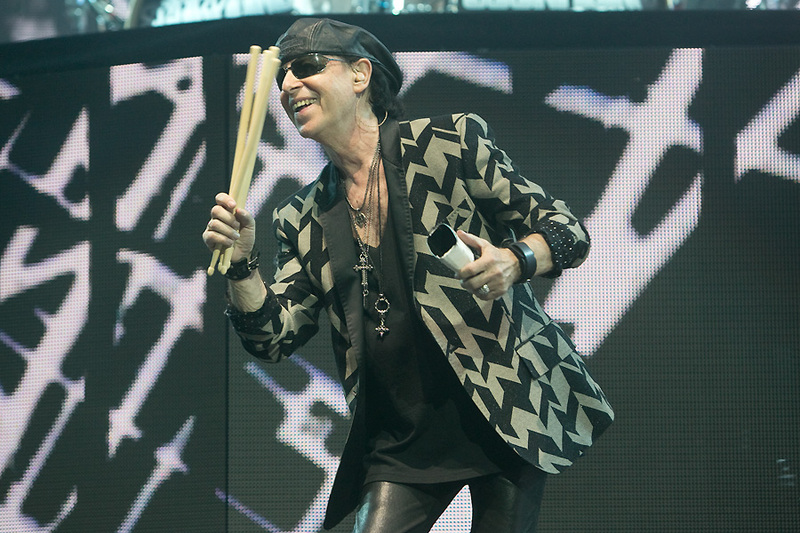 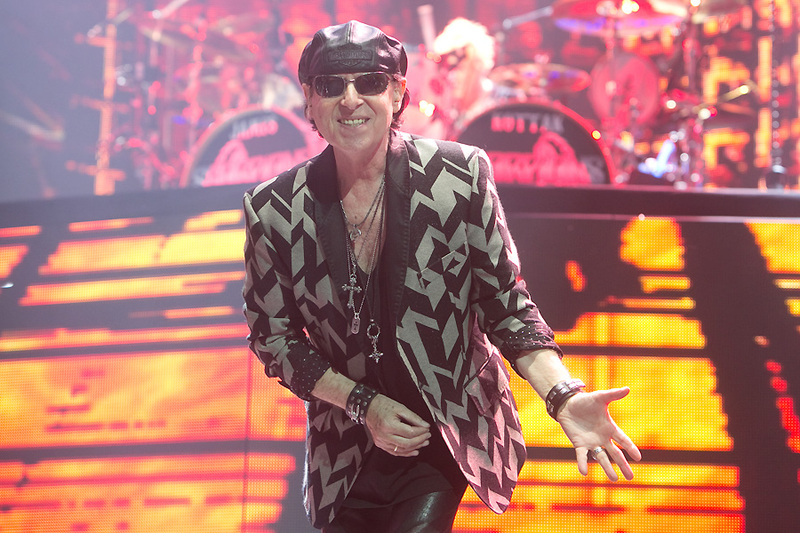 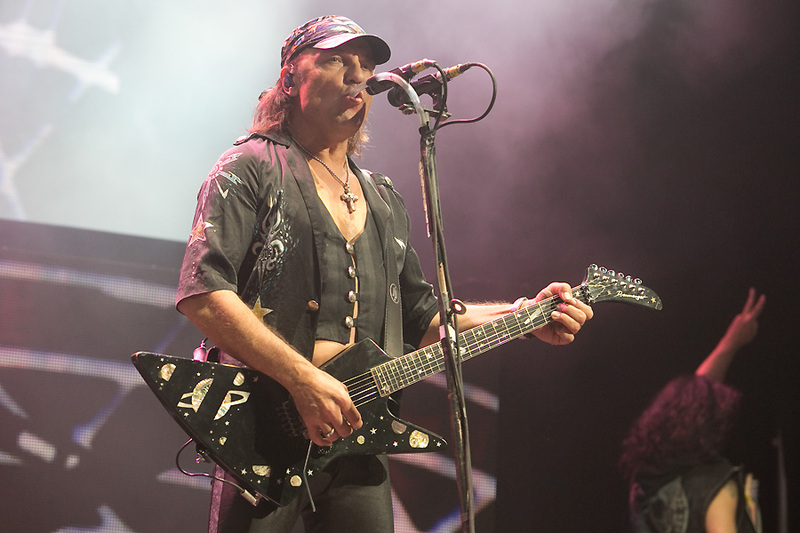 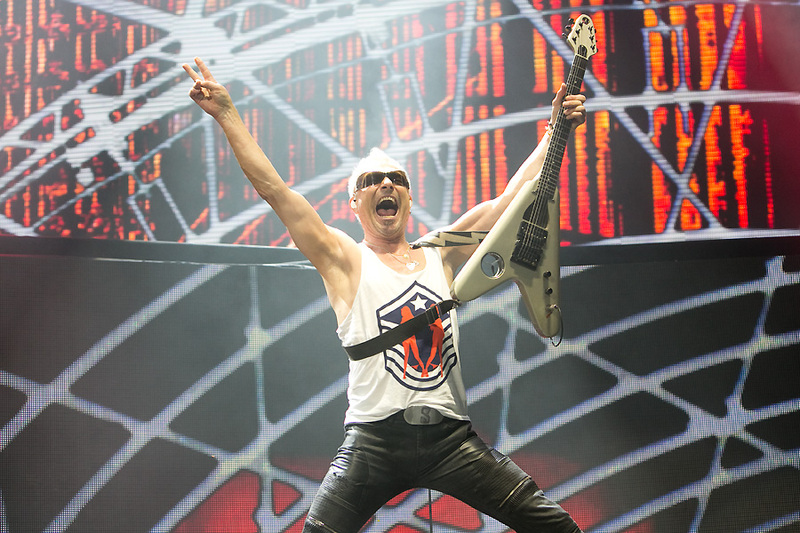 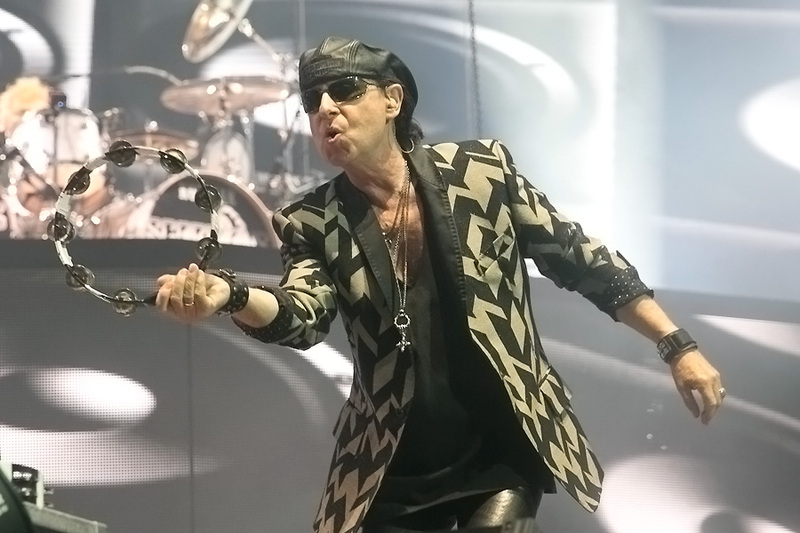 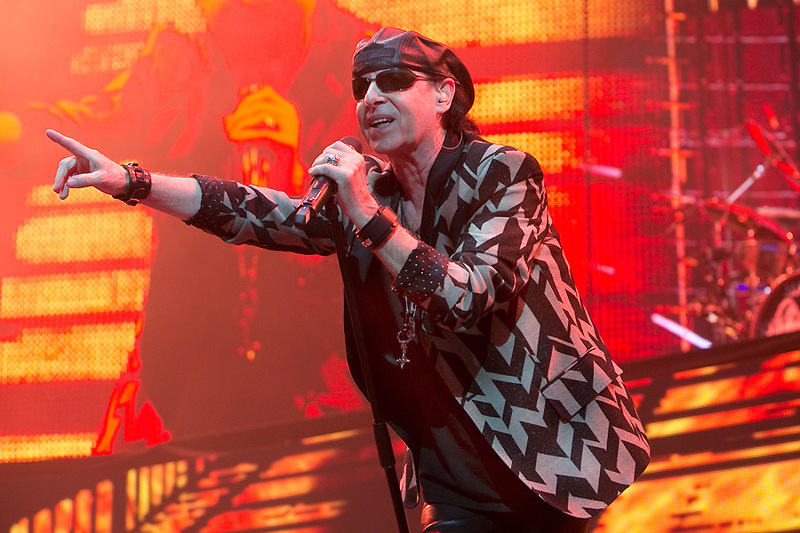 Singer Klaus MeineÂ took center stage, withÂ guitarists Rudolf Schenker and Matthias Jabs on either side, and the three wasted no timeÂ engaging with the fans in the front rows and near the stage. 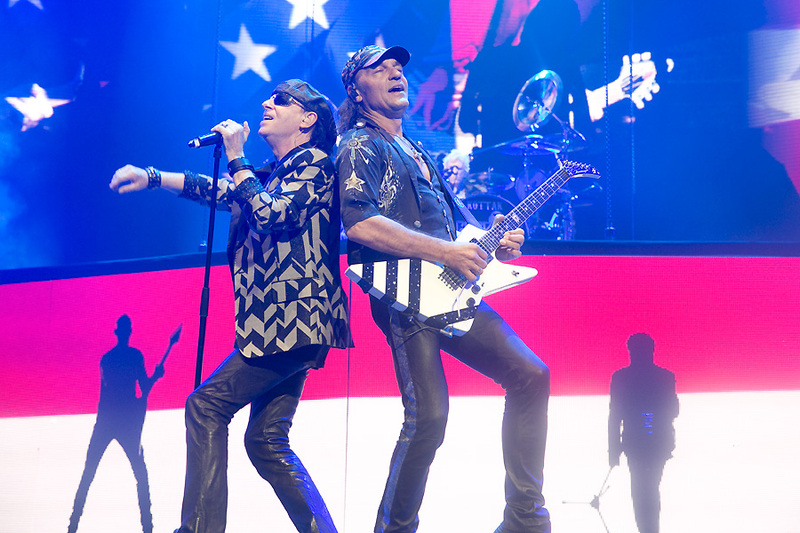 Although there were only two songs into their performance with “Make it Real,” Schenker and Jabs had more energy than they knew what to do with, and spent most of the song constantly running to join each other on the center stage extension without missing a note. 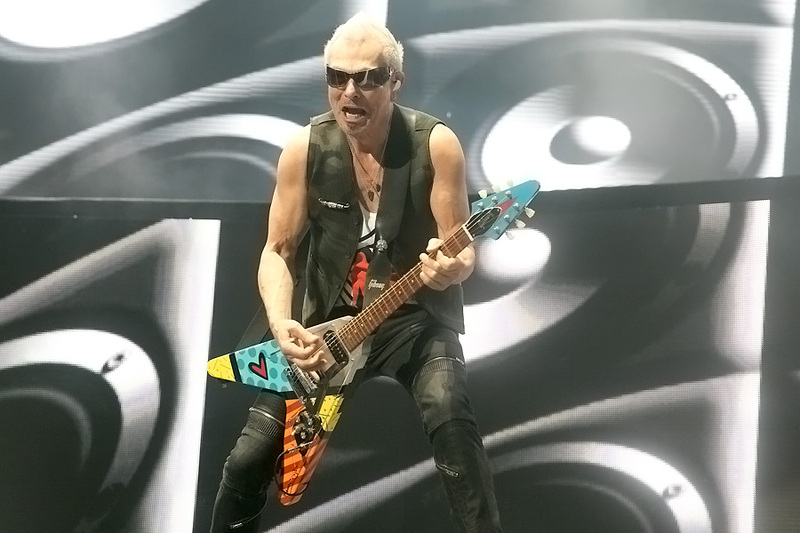 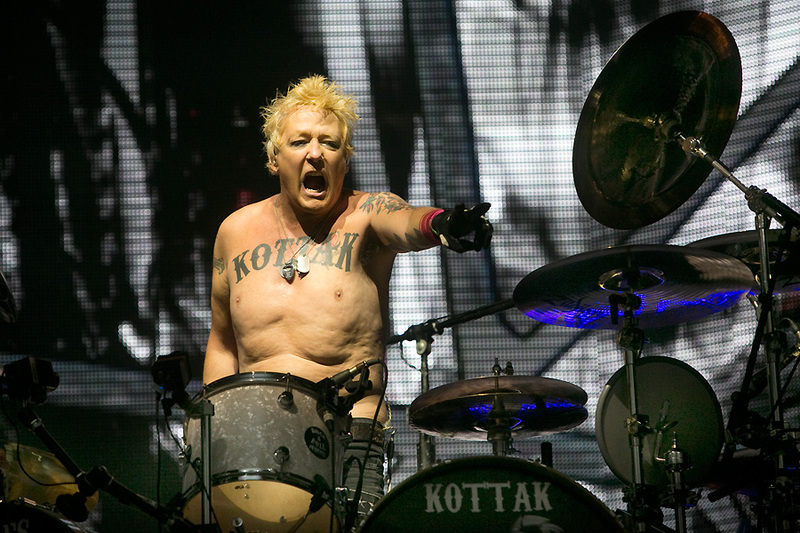 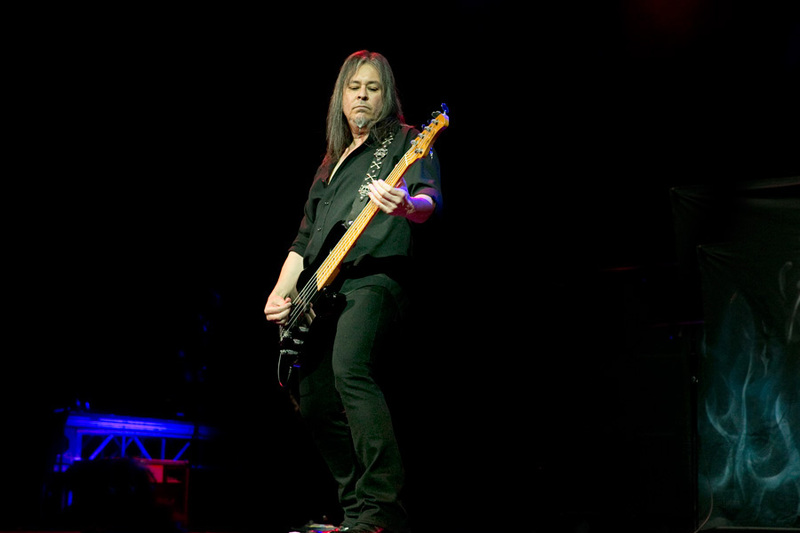 And although Jabs may have been grounded at his microphone to work his talk box magic during “The Zoo,” Meine more than made up for it as he tossed drumsticks to the fans while Schenker ran from the stage to the drum platform and back down multiple times while keeping the undeniable riff of the song going strong. 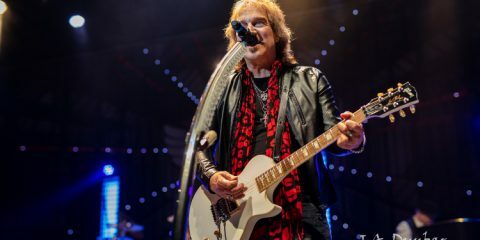 The setlist touched on all incarnations of the band, and Uli Roth era classics “Steamrock Fever,” “Top of the Bill,” “Catch Your Train,” and “Speedy’s Coming” were a nice flashback to the band’s roots. 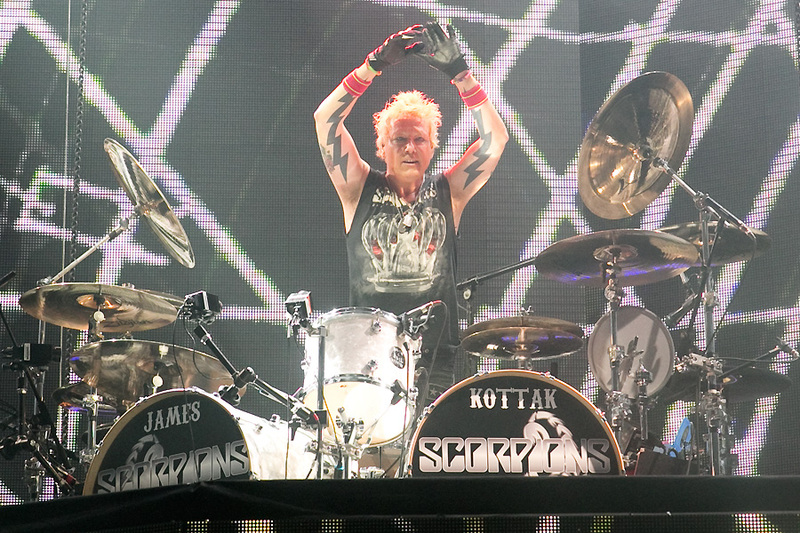 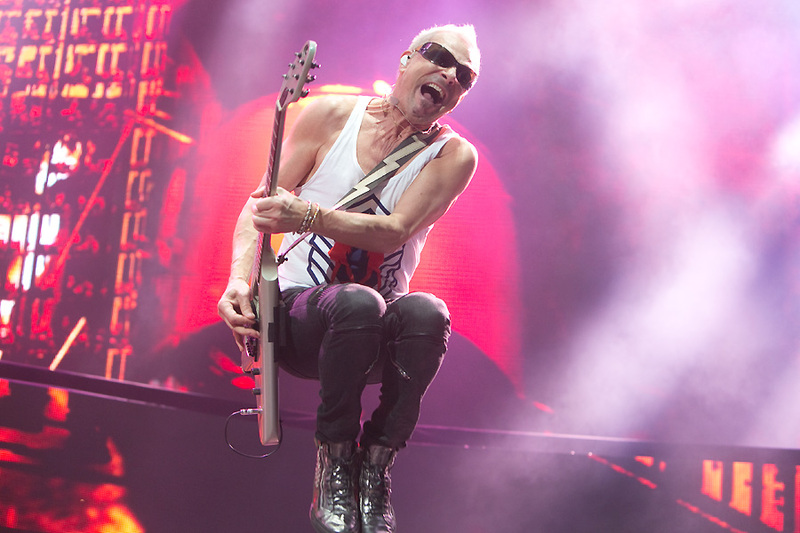 Of course, it was the mega-hits that the crowd had really been waiting for, and the Scorpions did not disappoint them. 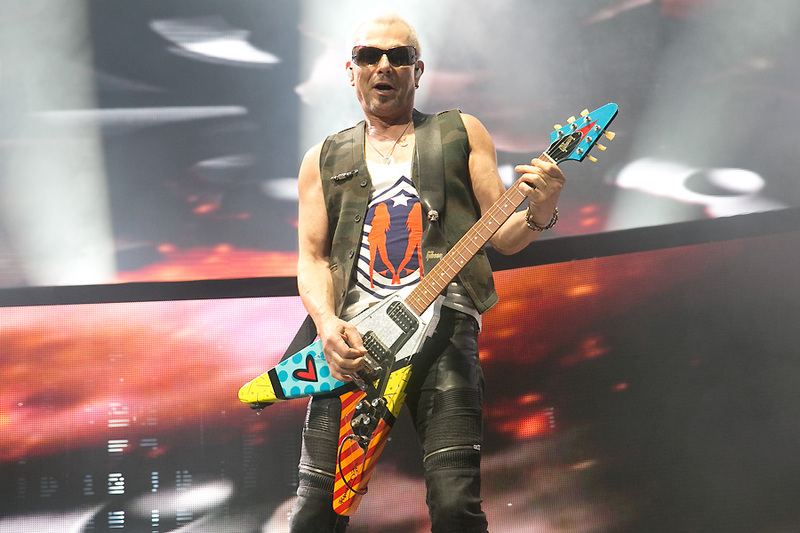 “Wind of Change,” and “Still Loving You” had everyone in the venue waving their cellphones in the air, while “No One Like You,” “Blackout,” and “Big City Nights” inspired more than a few people to pick up their air guitars. 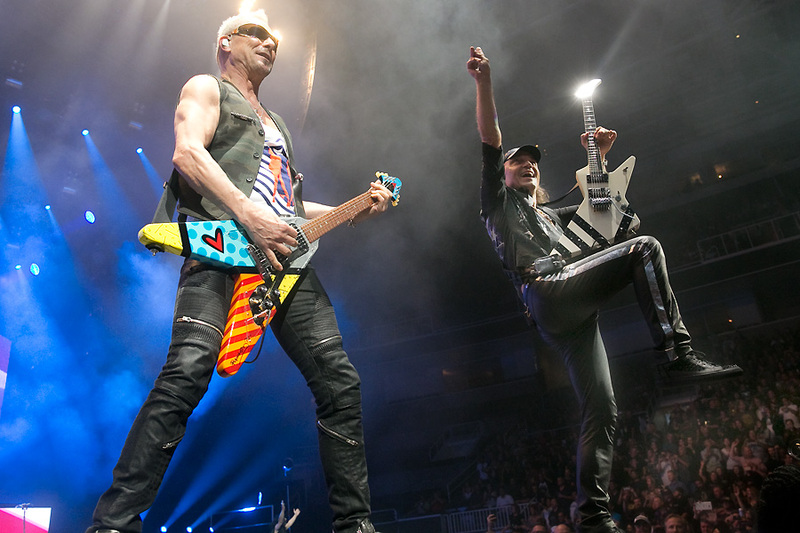 By the time the band wrapped up their set with “Rock You Like A Hurricane,” it was clear that even after fifty years, the Scorpions still know what it takes to deliver a big arena rock show. 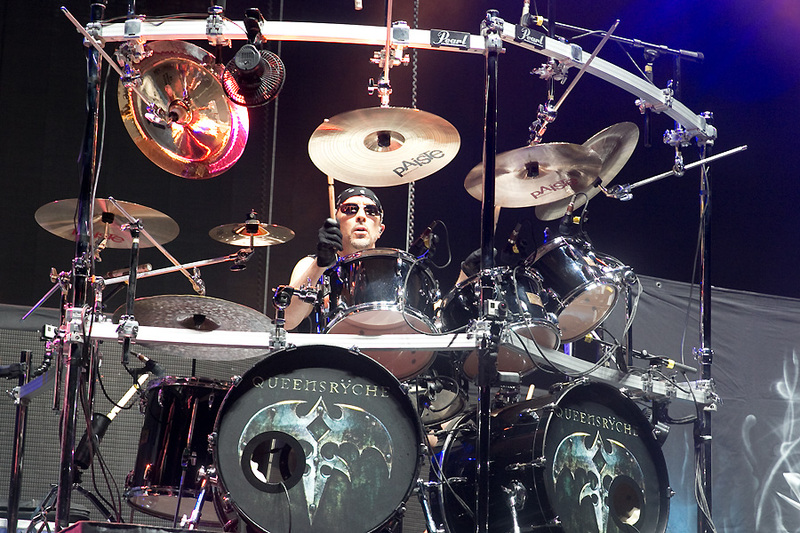 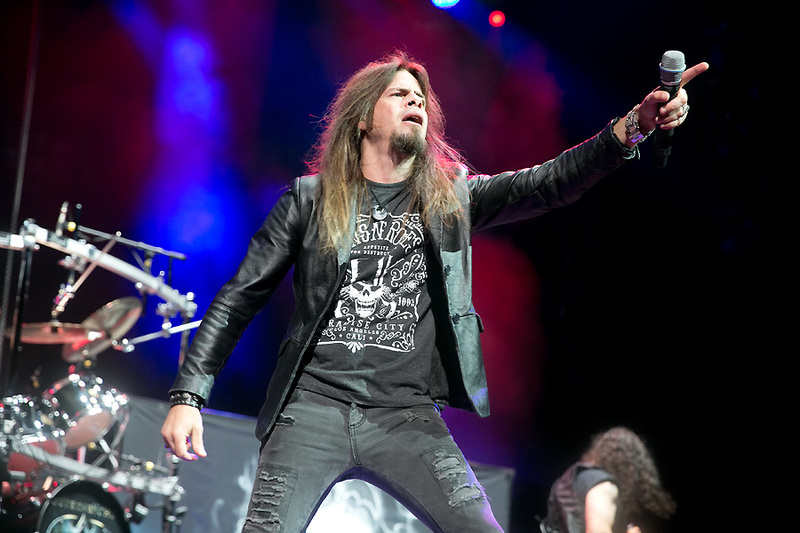 Support on this tour comes from QueensrÃ¿che, who have had their fire re-ignited with the addition of vocalist Todd La Torre a few years back. 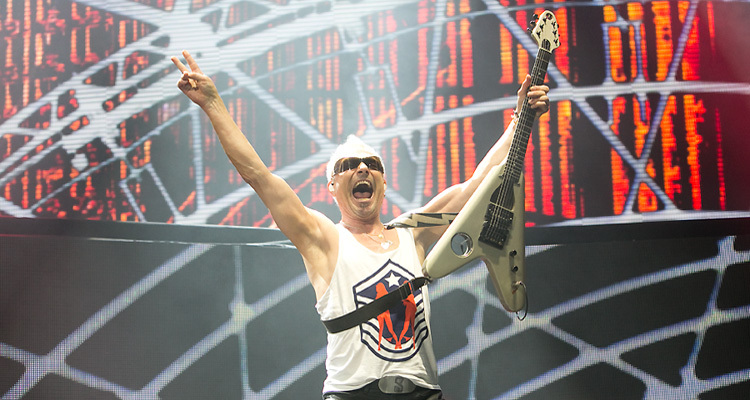 Although the band wasÂ only given a brief time slot, they absolutely made the most of it. 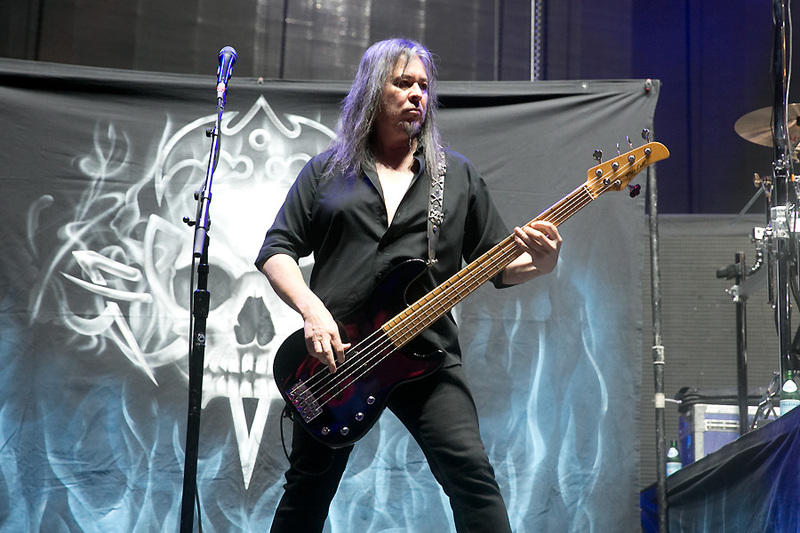 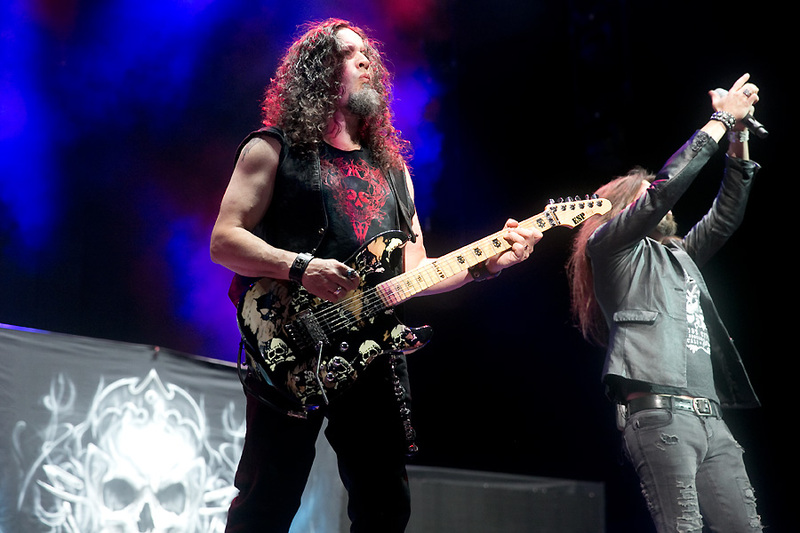 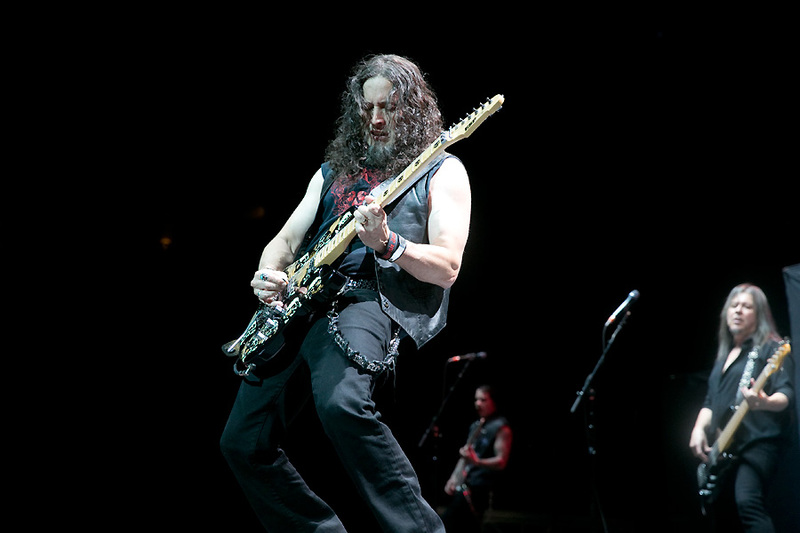 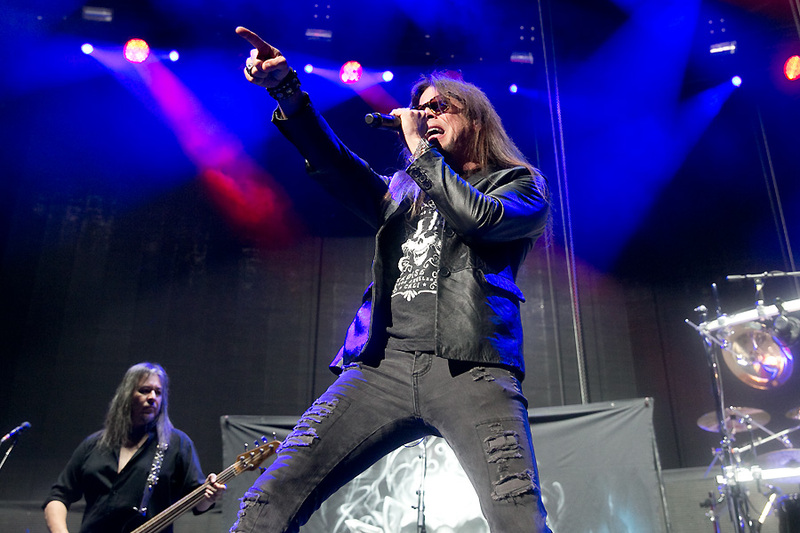 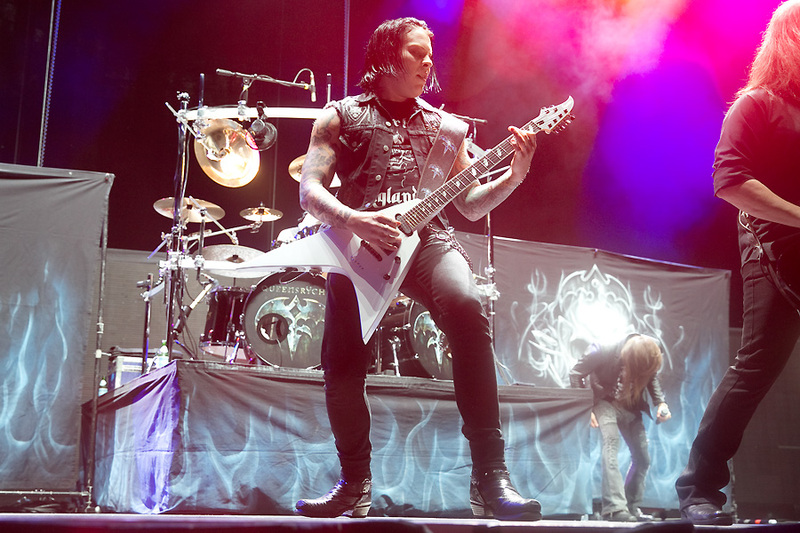 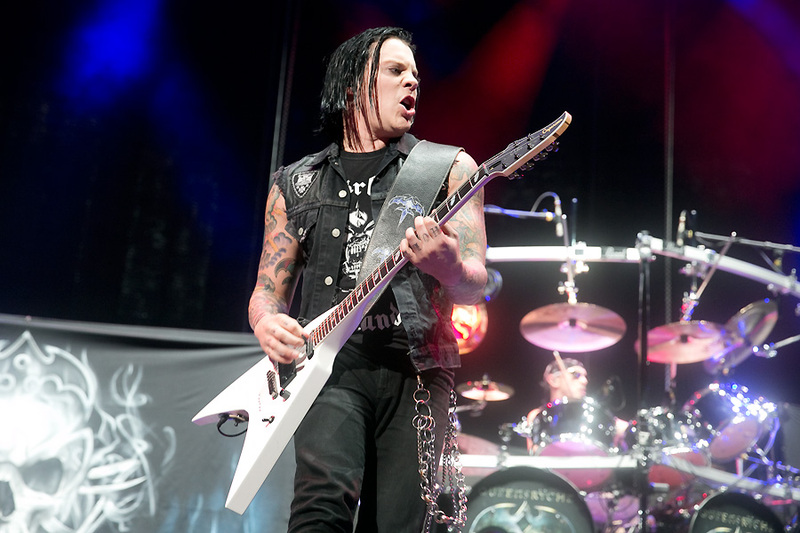 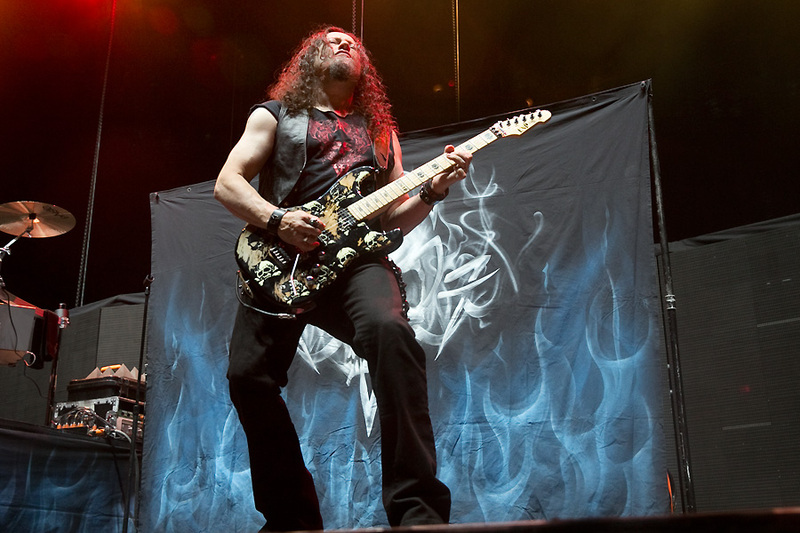 La Torre delivered the classic QueensrÃ¿che with more conviction than his predecessor, and as he belted out “Jet City Woman,” “Empire,” and “Eyes of a Stranger,” he made it clear that he is the right frontman for the band. 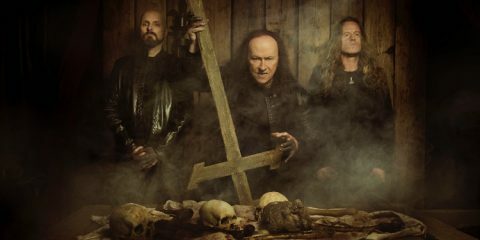 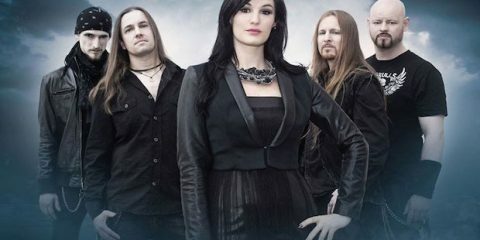 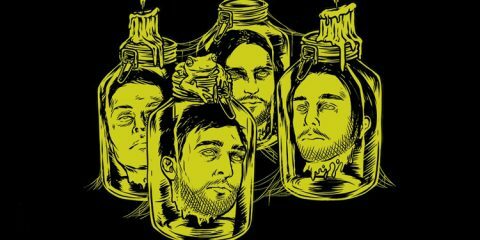 And if the brand new song “Arrow of Time” was any indication, the just released last week Condition HÃ¼man will keep the band busy with touring well into the future. 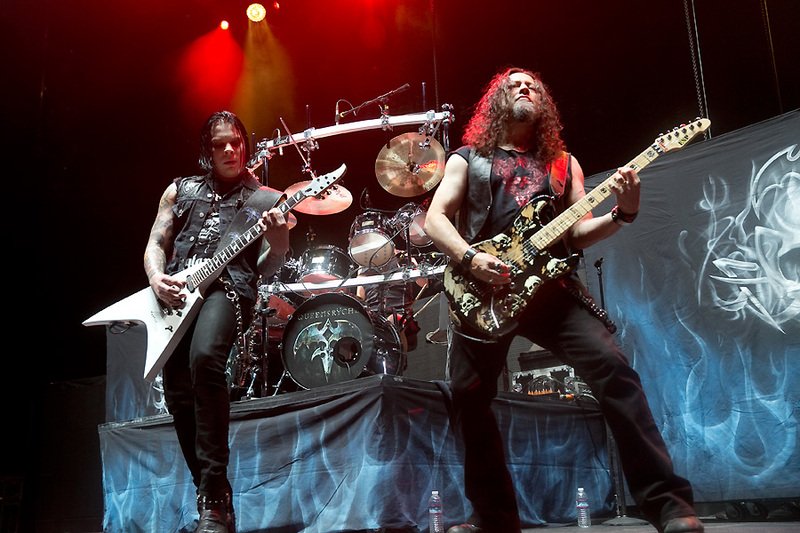 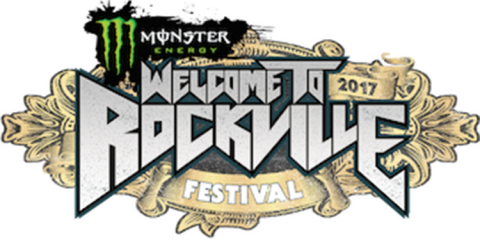 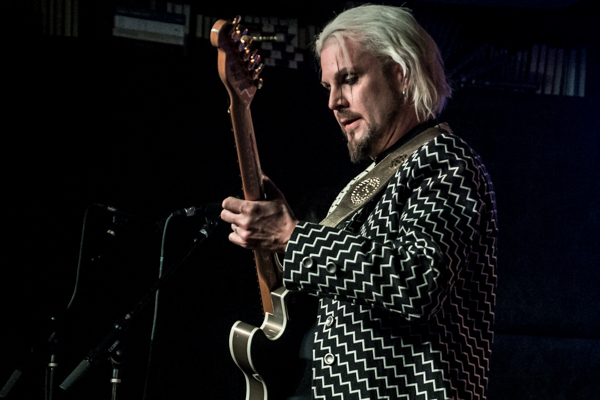 National Rock Review sent photographer Raymond Ahner to the show for this report.